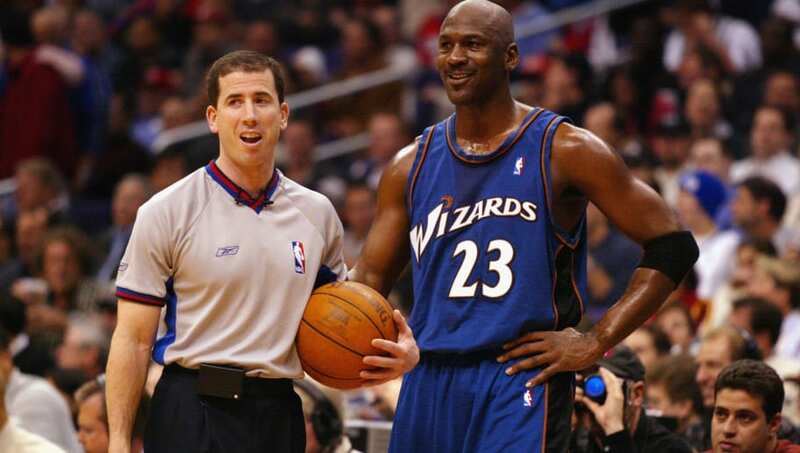 Tim Donaghy, the NBA referee who was caught in the cross hairs of one of the most outrageous gambling scandals in sports history, is back in the news following an ESPN story that shed some light on Donaghy's backstory, and what it revealed is truly fascinating. According to the story, Donaghy "... enriched an array of gamblers to the tune of likely hundreds of millions of dollars." "You wanna get paid?" Battista had said to the ref. "Then you gotta cover the f---ing spread." Donaghy started "fixing" NBA games on a smaller scale, but eventually the operation grew by leaps and bounds, and thus in dollar signs. According to the story, there was "about $1 million of his investors' money in each of Donaghy's games." And this story gets even more insane, as one anonymous gambler said: "From 2003 to 2007, we didn't miss a game. Any game that he reffed we had a wager on." That's right, $1 million worth of bets every time Donaghy stepped foot in an NBA arena. When Did Tim Donaghy Referee the Kings vs Lakers Series? Most notably, Donaghy was the referee for the 2002 Western Conference Finals between the Los Angeles Lakers and Sacramento Kings. Many NBA analysts, bettors and fans alike pointed out that something felt "off" in this one with the most apparent discrepancy being that the Lakers shot 40 free throws in Game 6 while the Kings only attempted 25. Furthermore, the Lakers attempted 27 free throws in the fourth quarter alone, while the Kings attempted just nine that quarter. The Lakers eventually went on to win the 2002 NBA Championship, and the outcome of this series has enraged Kings' fans for the better part of two decades now. Where is Tim Donaghy Now? Donaghy was released from prison in 2009, and currently lives in Sarasota, Fla. Publicly, Donaghy always refuted the charges. However, the former NBA ref reportedly attempted to sell his memoir and, according to the story, the NBA mysteriously persuaded the publisher not to move forward with the book. The NBA also recently said that it is ​preparing to increase ints policing on sports betting with wider legalization in the USA each and every day. Overall, the Donaghy scandal is a major black eye for the NBA, although betting scandals like this happen more often than you'd think in other sports. And while it certainly appears that Donaghy's memoir won't see the light of day, NBA fans can only hope the Donaghy saga is turned into a tell-all movie one day. Join FanDuel Sportsbook Today. New users get a risk-free bet up to $500. Join Now. Max Staley is not a FanDuel employee. In addition to providing DFS gameplay advice, Max Staley also participates in DFS contests on FanDuel using his personal account, username mstaley1212. While the strategies and player selections recommended in his articles are his personal views, he may deploy different strategies and player selections when entering contests with his personal account. The views expressed in their articles are the author's alone and do not necessarily reflect the views of FanDuel.